Today we have our first post from our February Guest Designer, Jennifer from Just4FunCrafts.com! Jennifer is a lover of copic coloring and we are so excited to have her coloring up our images this month! Keep reading to find out more about her today and to check out her first project below! Hello crafty people. 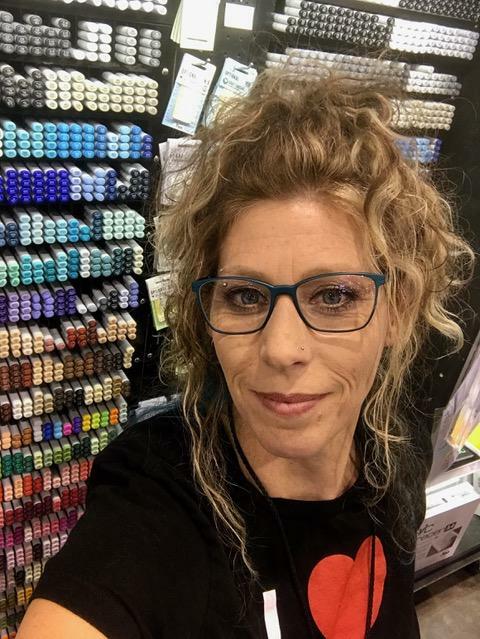 My name is Jennifer Dove and I am a self taught artist and Copic instructor. I create with all types of mediums, but currently use Copic markers for all my card making. I have 3 kids ranging from 23 to 4 years old and live with my husband and the little one in a 43 foot home on wheels. Traveling, the great outdoors, family and being an inspiration to others is my passion. Be you, be creative! You can follow my creative journey on my blog at Just4FunCrafts.com. I find that the most amazing moments are in the tranquil silence of nature. The moment when you can hear yourself think. When distractions are only the chirping of a bird or the fluttering of a butterfly. When that silly pine needle decides to drop to the ground in an out of control spiral and the thunk of a wayward pinecone. Nature is so unpredictable and I love it. When I saw this stamp set from Newton's Nook I just knew it was one that would bring a smile to my face. Bringing back the moments of the tranquil silence in nature. Newton's Nook blessed me with asking if I would be a Guest DT for February. I didn't even hesitate to say yes! What an honor to use their fabulous stamps and dies. I chose this set Cozy Campers. We are full time Rv'ers so this set fit me just perfect! I colored this sweet image up using my Copic markers and then cut it out. The great thing for those that aren't great with scissors is that you can also purchase the die too. I chose to use Newtons Nook Designs fabulous Framework Die Set which has a bunch of fun frame options. Once all the layers were added I finished it off with some fun pine trees. I love how it looks like the camper is tucked amongst the pines, don't you? It definitely takes me to that tranquil silence of nature! Fantastic design, love the tree effect on the edges. Thank you for sharing this, off to look at your blog. Wow, love all the dimension and what a fabulous design. Lovely card!! Oh, how i love this. 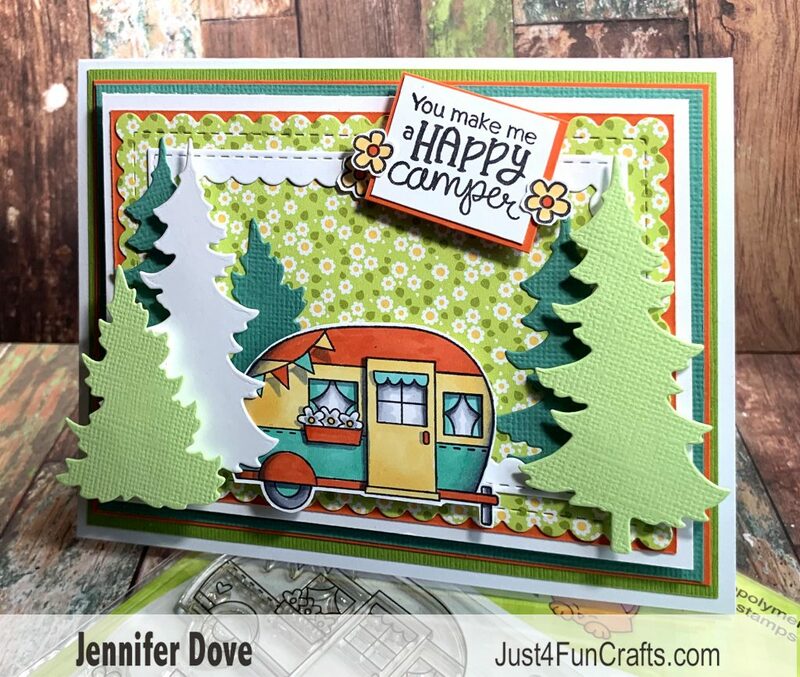 I love the trees, flowery paper, trailer...so cute! It makes me want to go camping again!!!!!!! LOVE the camper and scene!